Amputations usually occur from injuries or diseases that harm parts of the body to the point that damaged tissue cannot heal. Traumatic injuries such as those sustained in automobile or workplace accidents can lead to the need for amputation. It is essential if you or a loved one have suffered amputation injuries that you speak to a knowledgeable lawyer to help you with legal and medical costs. According to the Center for Orthotic & Prosthetic Care, there are approximately 1.7 million people in the United States living with limb loss. An estimated one out of every 200 people in the U.S. has had an amputation. Sixteen percent of those with amputations are people with traumatic amputation injuries. Examples of traumatic amputations are crush injuries when limbs are crushed in car accidents, guillotine injuries where the limb is cut off such as with power saw injuries, severe burns including chemical burns, and blast injuries with the most common of these being misuse of fireworks or illegal creation of homemade fireworks. Avulsion injuries, where a part is torn from the body such as in a dog attack, can also leave a victim severely injured. Of these types, crush, guillotine, and avulsion mechanisms are three of the frequent forms of traumatic amputations. Crush injuries are the most common and the least likely to be successfully reattached because of the significant tissue damage. In contrast, guillotine injuries involve well-defined edges and result in less tissue destruction. Guillotine traumatic amputations are thus more likely to have successful reattachment and convalescence outcomes. The most common reasons for accidental traumatic amputation injuries are traffic accidents including automobile, bicycle, train, and motorcycle accidents, workplace accidents, and explosives accidents that include firearms and fireworks. Agricultural accidents including lawnmower-related amputations, ring traction accidents where a ring catches on a nail or other protruding object and a finger is amputated, and car door accidents where the limb is either a guillotine amputation or a crush amputation are also common reasons for traumatic amputations. It is important, in any traumatic amputation incident, to keep medical records as well as any police reports, or witness reports for the legal evidence a professional lawyer may need to help you pursue your case in court. Our lawyers at The Bussey Law Firm, P.C. are sensitive about your injuries and they can help you or a loved seek compensation for traumatic amputations. Please contact us at (719) 475-2555 for more information. 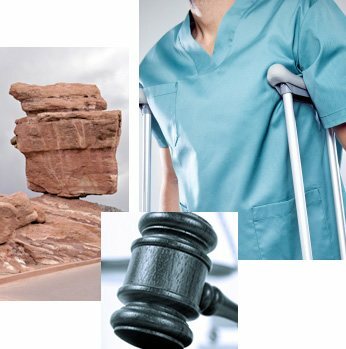 Colorado Springs Injury Lawyer Disclaimer: The legal information presented at this site should not be construed to be formal legal advice, nor the formation of a lawyer or attorney client relationship. Any results set forth herein are based upon the facts of that particular case and do not represent a promise or guarantee. Please contact an attorney for a consultation on your particular legal matter. This web site is not intended to solicit clients for matters outside of the state of Colorado.